Oxfordshire County Council is to undertake “carriageway maintenance”, drainage improvements and new road markings on Horsefair and the High Street over the summer. The works are due to start on 5 August, take around three weeks, and so end by 2 September. They affect the A44 Horsefair, from its junction with Banbury Road/London Road, leading into the High Street up to the junction with New Street and West Street. In other words, the main route through the centre of Chippy. Signs are already in place in neighbouring towns, warning of the works, but it’s worth keeping an eye on the County Council’s travel information site here. This entry was posted in news and tagged diversion, high street, Horsefair, maintenance, Oxfordshire County Council, road closure, summer, traffic. Bookmark the permalink. 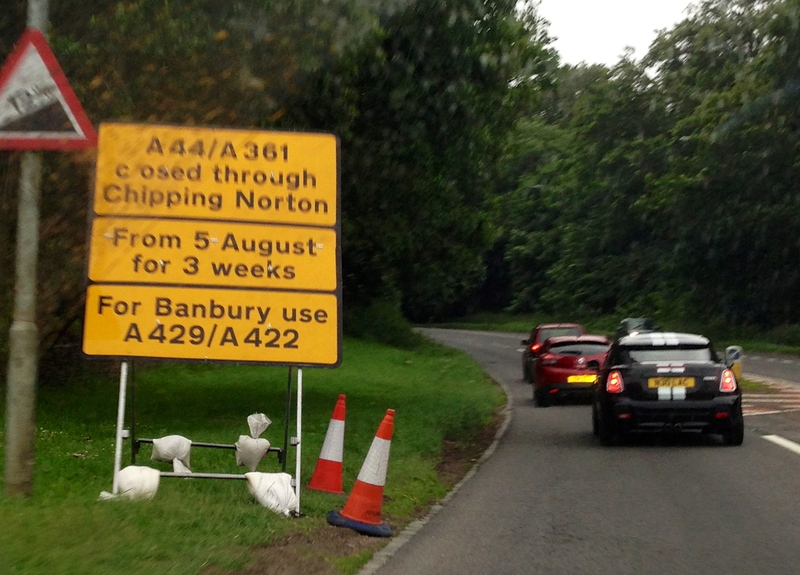 Is it not the case though that the road signs in both Oxford and Banbury are different to those pictured in your article and state that Chipping Norton Centre is closed for three weeks? This gives the impression to the passing tourist that it is therefore not worth visiting and as such will surely have a detrimental effect on local businesses with fewer people in town spending money. 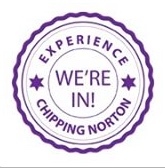 There is to be a discussion of the road closure at the Chipping Norton Town Council meeting on 15 July (7.15pm in the Town Hall) – Chippy News will be there to report the discussion. If anyone is able to let us know the wording of either Oxford or Banbury road signs, that would be helpful.